This year marks not only the 400th anniversary of Shakespeare’s death, but also that of Chinese Ming dynasty playwright Tang Xianzu. Physical theatre company Gecko is one of a number of theatre companies that saw the coinciding anniversaries as the perfect opportunity to explore the work of these two contemporaries. 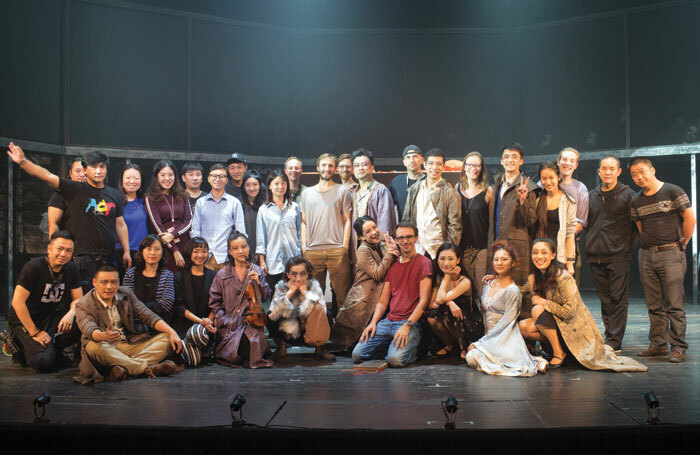 The result, a co-production with Shanghai Dramatic Arts Centre entitled The Dreamer, has just finished its run in Shanghai. Gecko is no stranger to working internationally. 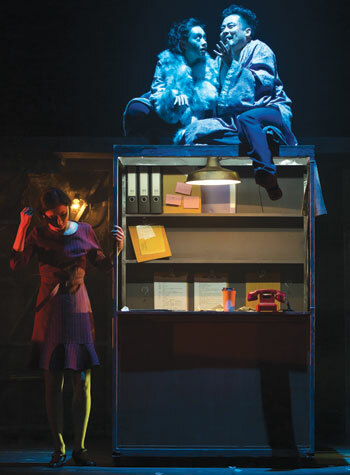 Missing, a previous production, toured to Russia, Georgia, Malta, Colombia, Mexico, Hong Kong and China. It has had five shows in the British Council’s Edinburgh Showcase. The Dreamer, though, was made in China with a Chinese cast, which has been a new experience for the company. 1. Gecko shows take an average of two years to make. Shows continue to develop during their runs and tours. 2. In 2015, the entire production of Missing was lost in a fire at Battersea Arts Centre. Ten days later, the company had rebuilt the whole production following a hugely successful fundraising campaign. 3. A Gecko show features about eight different languages. Gecko doesn’t use words as the primary source of the storytelling; it uses spoken word as an extension of physicality. 4. The company’s social media channels are run by its artists, not by marketing professionals, and feature insights into Gecko’s work and processes. 5. Gecko won the Equity ensemble award at the 2016 Peter Brook Awards earlier this month. Both commented on the speed and efficiency with which SDAC got things done. “It’s just so incredibly organised and orchestrated,” enthuses Evans. “There’s a whole other show going on backstage, basically. Everything moves seamlessly. Shakespeare Lives has been the catalyst for many new productions this year but, for Gecko, the work of Tang was equally important. “It was the perfect opportunity to bring together the connections. Tang Xianzu has equal responsibility for connecting the UK and China through the arts,” says Evans. 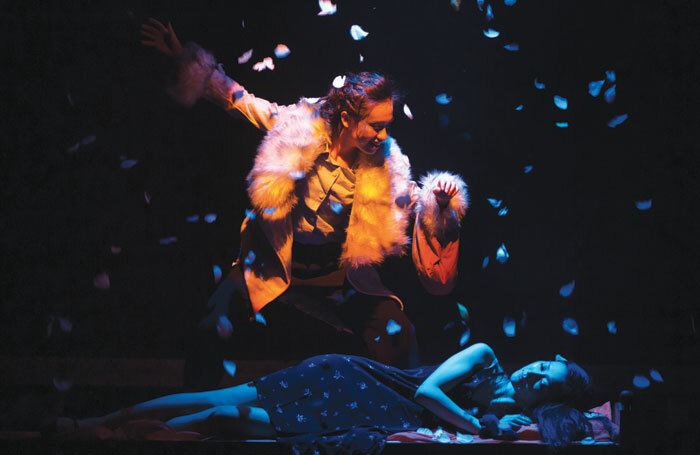 The Dreamer is a mash-up of Shakespeare’s A Midsummer Night’s Dream and Tang’s The Peony Pavilion. 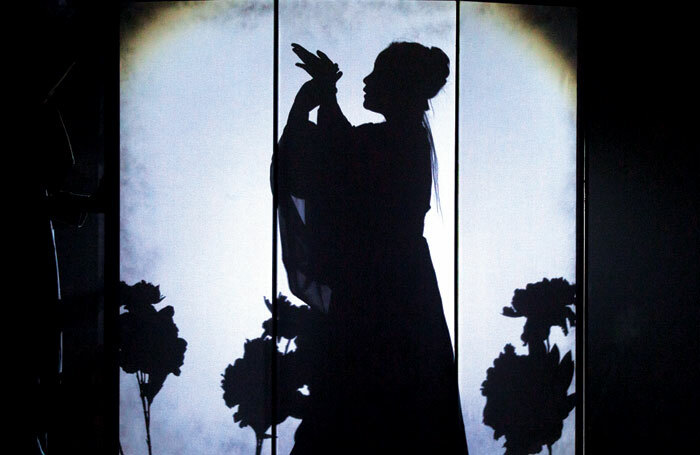 Tang’s play follows Du Liniang, a young woman who falls in love in a dream and wastes away with longing, before being resurrected and eventually marrying her beloved. “One of the things we got very excited about was the story of Helena [from A Midsummer Night’s Dream] and the connection that makes with Du Liniang – she’s also a woman taking hold of love and refusing to let anything get in the way,” says Evans. “This is a woman’s story, which makes sense in the context of what’s happening in China; we came across this concept of a ‘leftover woman’, which is coming up a lot in China around the social pressures of being a woman needing to get married, have children and keep moving through life in this stage-by-stage way. Evans also mentions missing the “luxury” of revisiting the show and going through a longer rehearsal process.